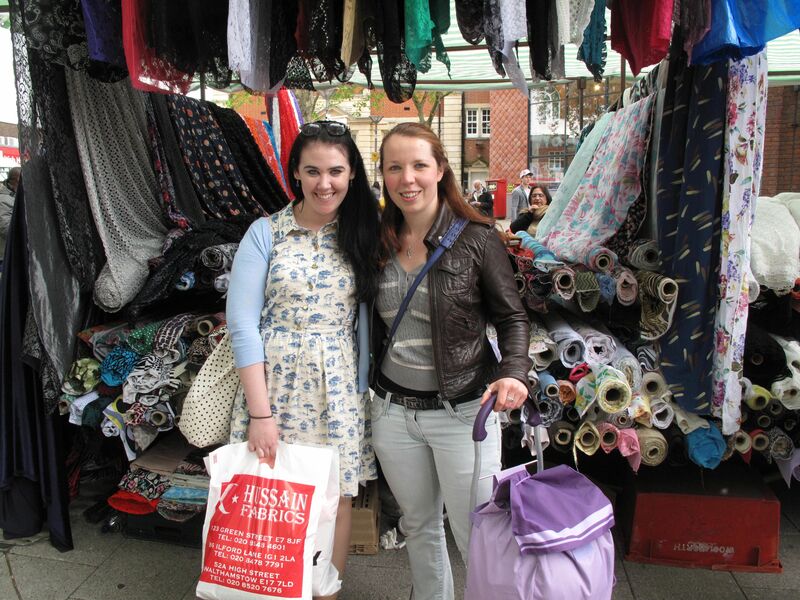 Last weekend my sewing buddy Clare and I took our first trip to Walthamstow Market. 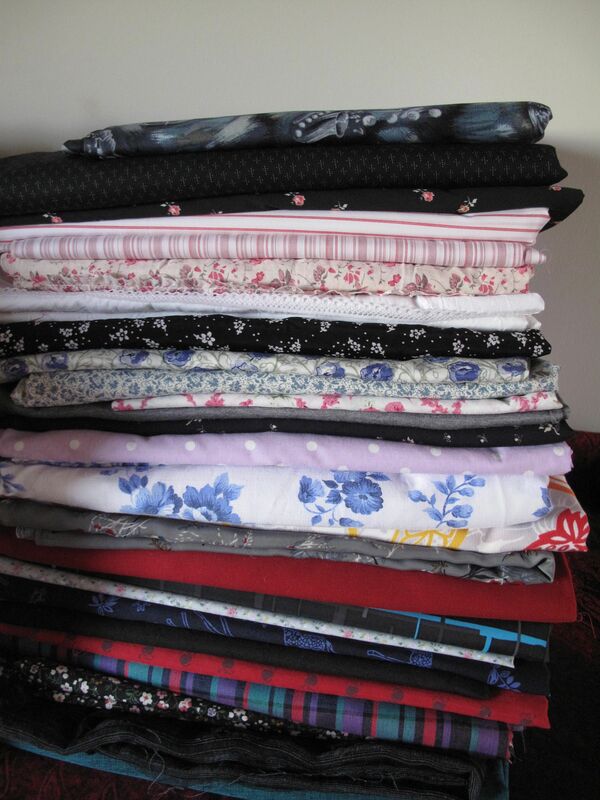 Having read about it’s abundance of affordable fabrics on various other blogs, including Diary of a Chainstitcher, Tilly and the Buttons, Sew Stylish (thanks for the shopping trolley idea!) and Tea for Two (who gets a special mention because I’ve just realised that I bought two of the same fabrics as Jen) to name but a few (honestly, I think we read about it on about 15 different blogs in the process of getting ourselves excited), we decided that it was a trip that HAD to be made. We planned (once we actually found a weekend we were both free), I prepared myself by purchasing a shopping trolley (much to the boyfriend’s confusion – ‘Is that a granny trolley?’) and printing off Karen’s handy map. 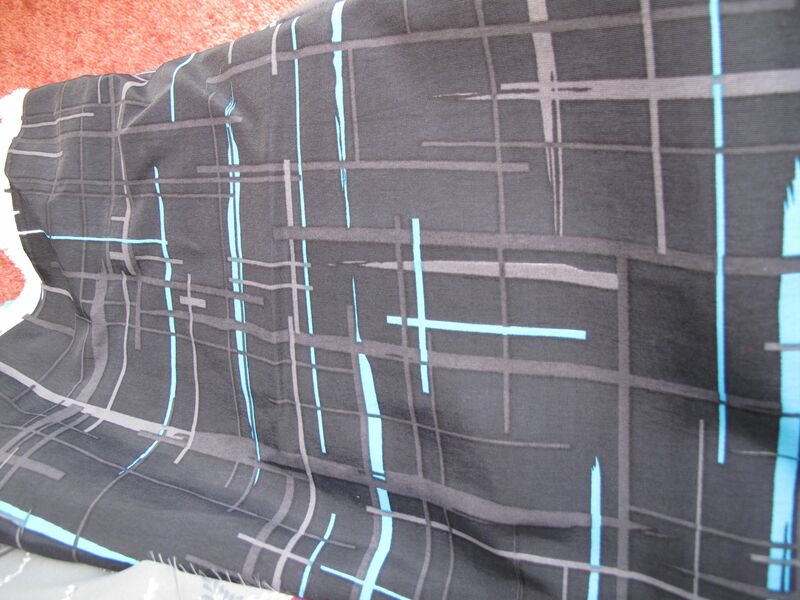 This teal fabric on the left (£1.65/m) was my first purchase – a fairly substantial suit-like material. I’m going to use that to make Simplicity 3673 as a work dress. 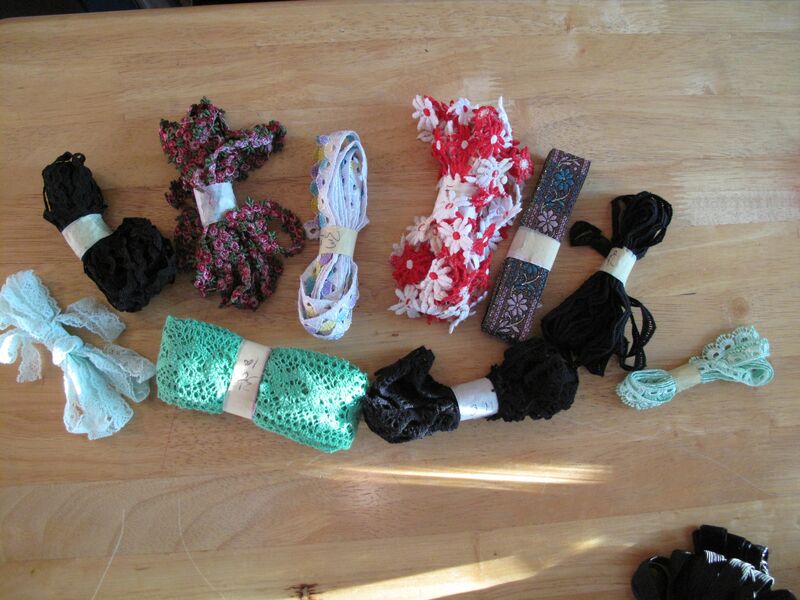 I’m thinking the one on the right (£1.50/m) will make a nice cute dress. 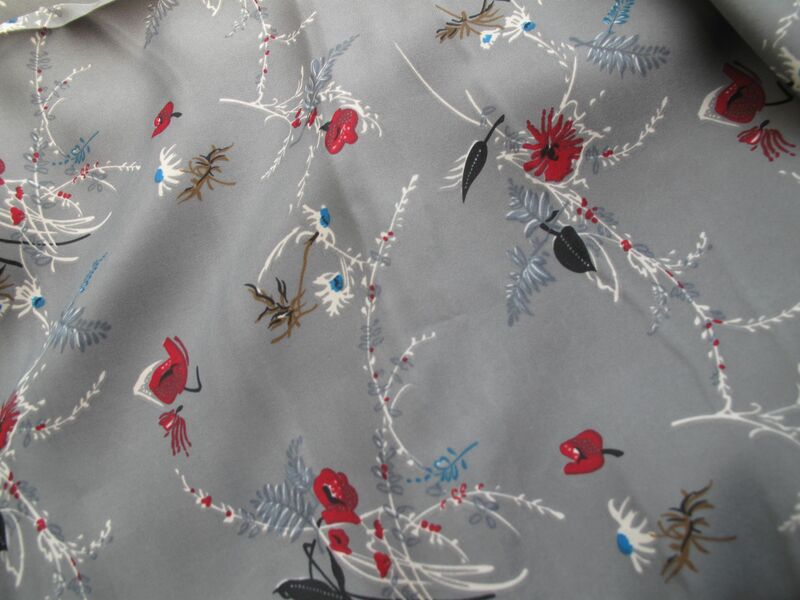 This beautiful Japanese-esque fabric (£2/m but he gave me the 5m he had left on the roll for £8) has a lovely silky texture to it. This was actually on the first stall we came to at the beginning of the day, but I didn’t buy it at the time. But by the end of the day, I still really liked it, so went back and picked it up then. The one on the right was my most expensive purchase of the day – a whole £2.20 a metre! Everyone who’s ever been to Walthamstow market raves about ‘the man outside Sainsburys’, so we thought we’d head down and check him out before getting too carried away anywhere else. 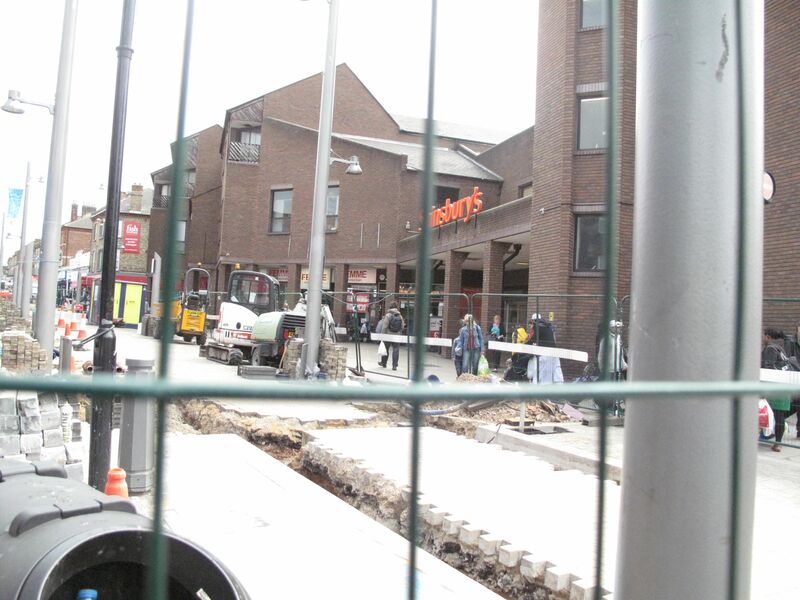 But when we got to Sainsburys, this is what we found! 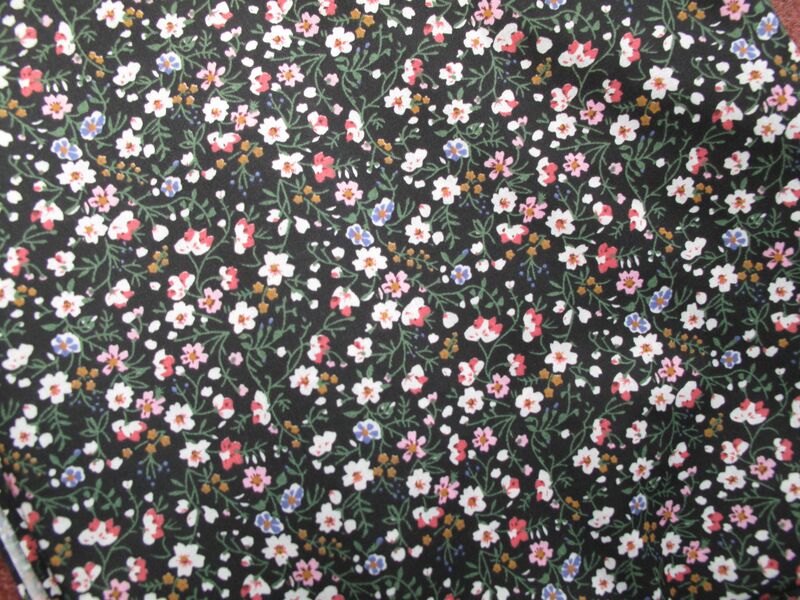 I was looking for a bit more of an interesting print fabric – I always tend to stick to very safe patterns when I’m buying clothes/fabric – spots, stripes, flowers etc, and I wanted something with a bit more character. 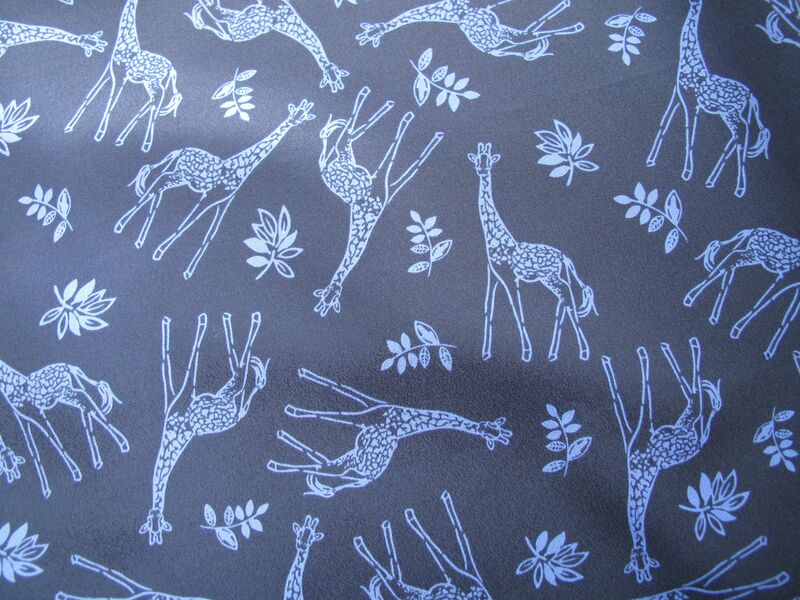 Clare found this giraffe one for me (£1.20/m) and I absolutely love it! 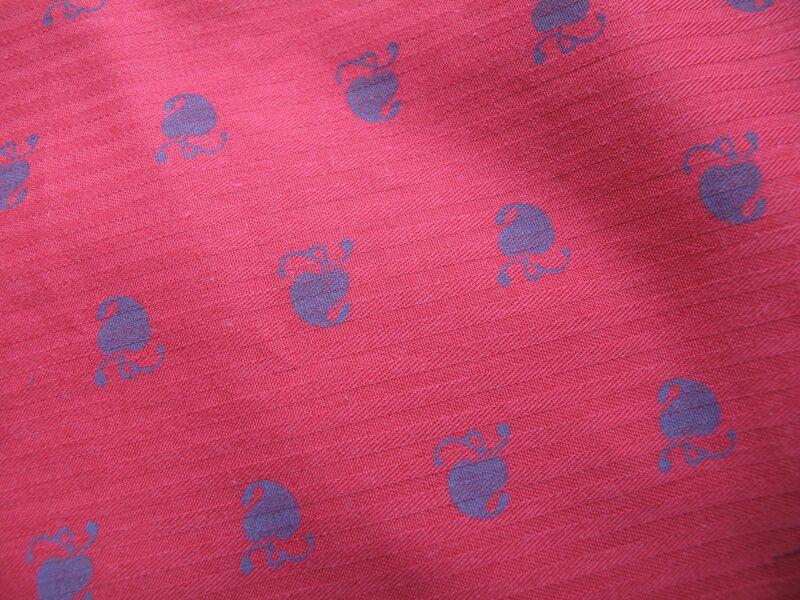 We both bought some of this red one (£1/m) – we’re not entirely sure what the red shapes are meant to be, but liked the fact that the fabric itself has a bit of pattern to it as well. 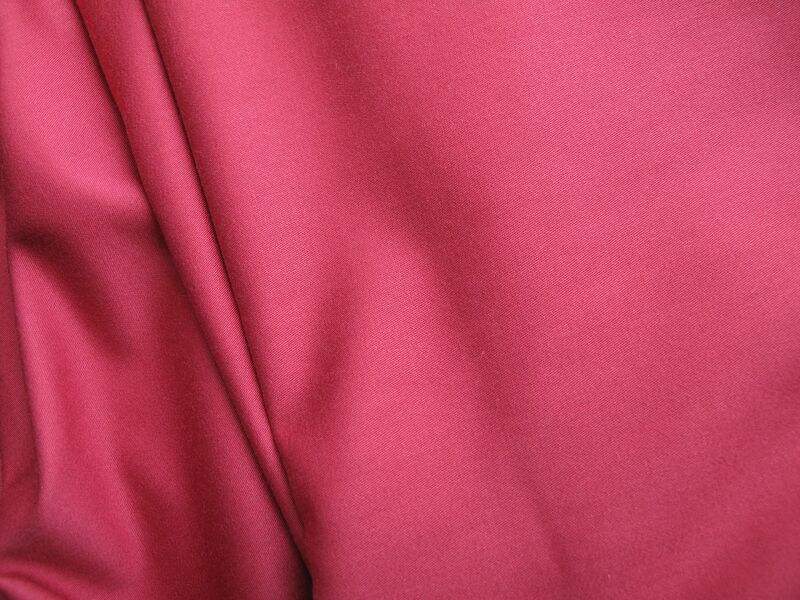 This red one (£1.50/m) has the most gorgeous drapey-ness to it. It is hopefully going to make a lovely cowl neck dress. 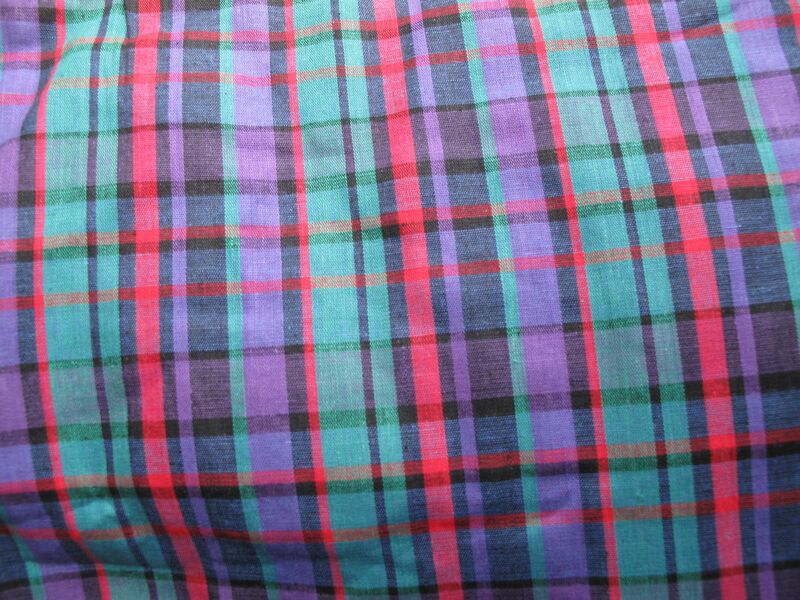 I loved the colours in the tartan wool mix (£2/m) but am not entirely sure what I’m going to make with it yet – either a smart-ish skirt or dress, but I want to avoid it looking too schoolgirl like. Maybe a shirt dress might work. 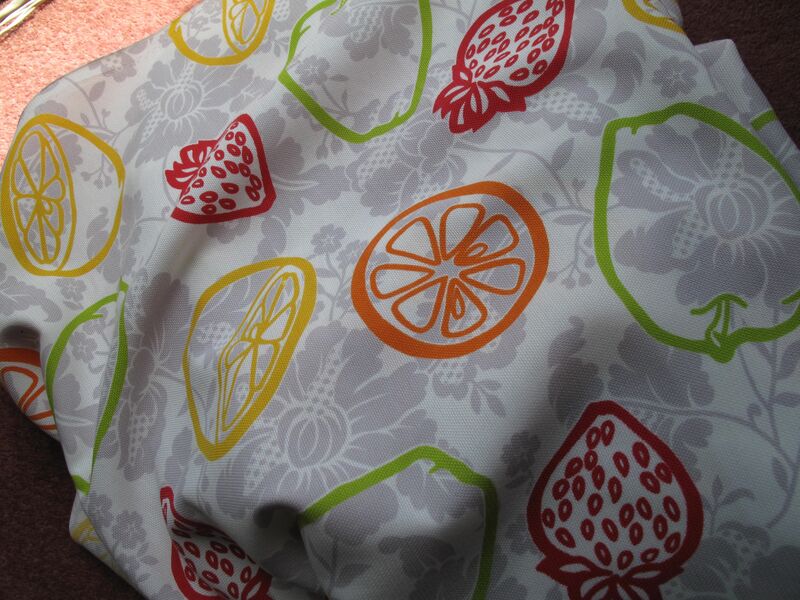 I also found this funky fruity number (£1/m). I have no idea what I am going to do with it yet, but I couldn’t resist it’s colourful summery-ness. It’s quite heavy, more like curtain-weight fabric, so maybe a summer beach bag or something. 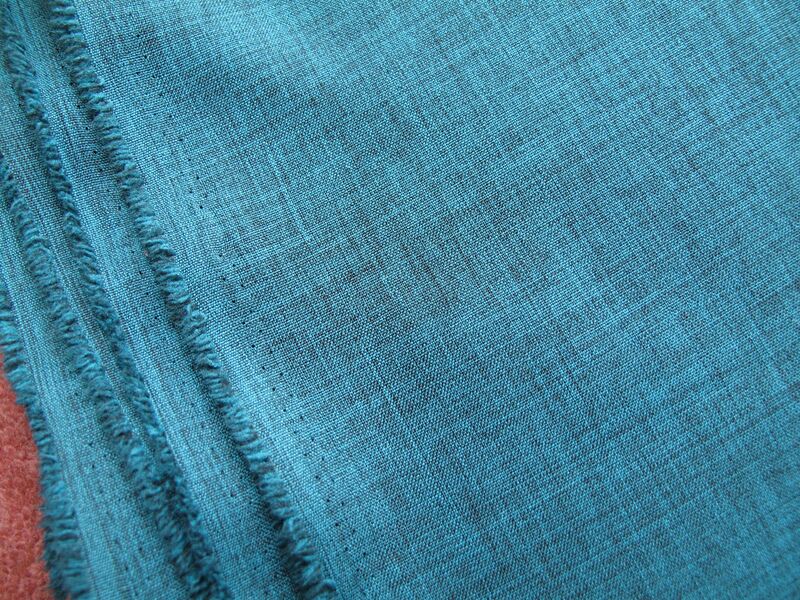 And I think this grey and turquoise one (£1.20/m) will materialise into another work dress. 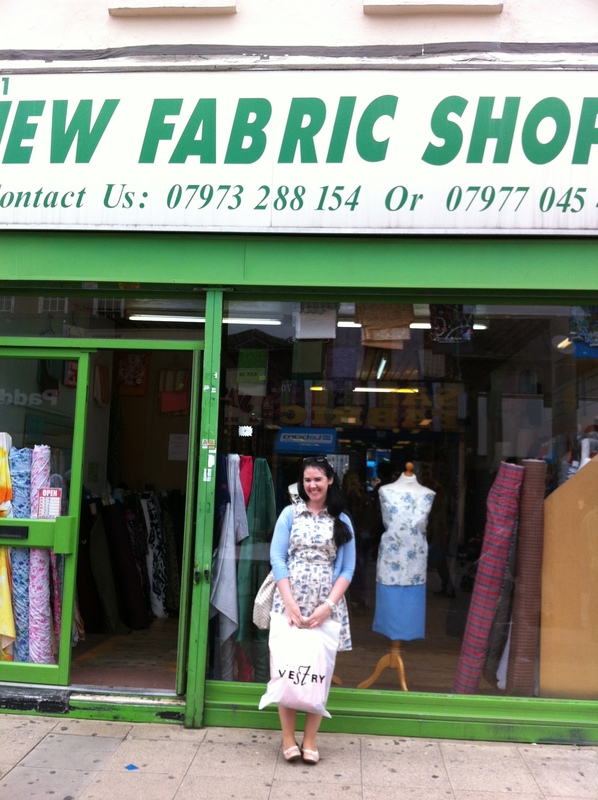 Here’s Clare outside our favourite shop of the day. I also stocked up on a selection of zips in different lengths and colours – I was even organised enough to look at the back of a variety of pattern envelopes online before we came, so that I knew what length zips I was going to be most likely to need. To buy zips round here takes a special trip to Abingdon, which can only be done on a Saturday, so I thought I’d better get a few while I was here. Significantly cheaper than buying them elsewhere as well – all 10p – 30p. And of course there were some beautiful trimmings as well! 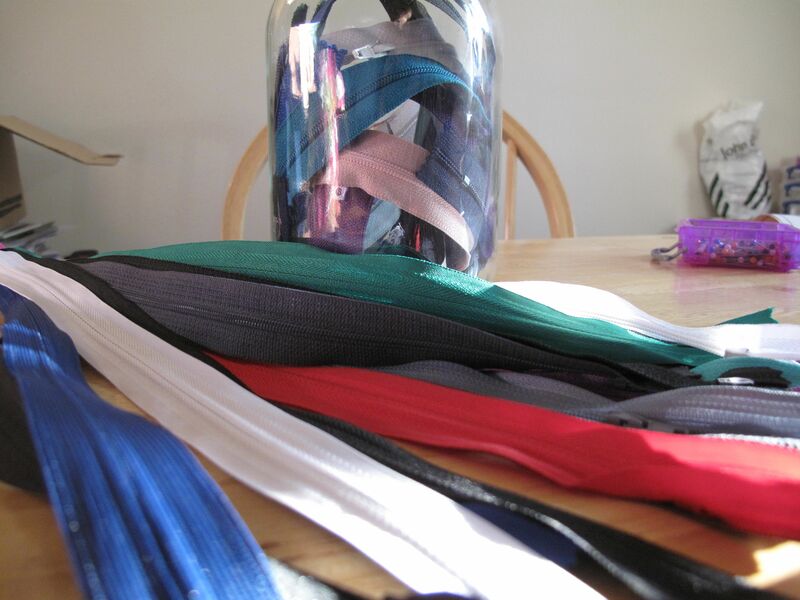 As well as generally useful things like elastic in various widths. A selection of my new trimmings. I did go over my budget, but I actually spent less than last time I went to our local haberdashery, and got so much for my money. I just find it hard to decide between things. Here we are at the end of the day, with bulging bags! I now have a beautiful selection of fabrics, hopefully something suitable for any pattern that I might want to make over the next 6 months…a year…5 years? I have a lot of fabric! 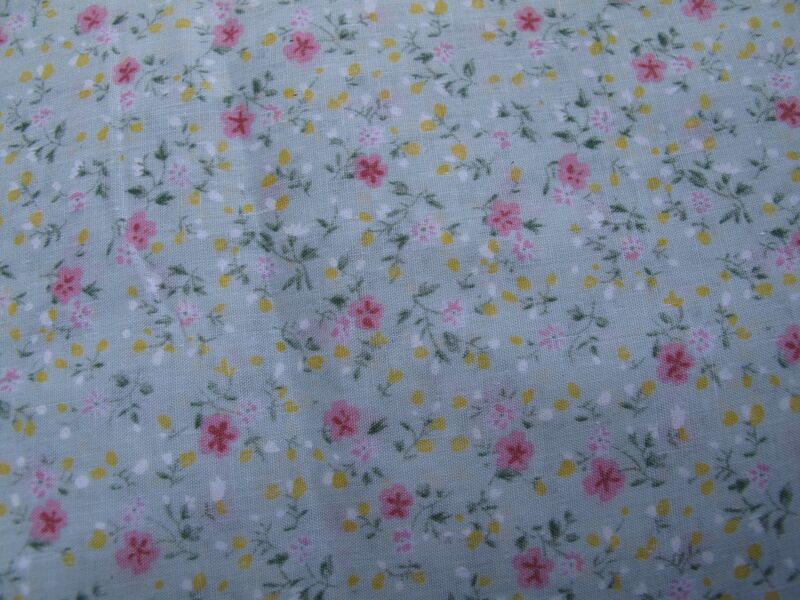 It also inspired me to sort out my fabric stash a bit, so I went through my freecycle goodies again and found that I had some lovely little flower print ones. When I first got them, I think I was thinking more along the lines of sewing for the home, rather than dressmaking, so they didn’t appeal so much, but now I love them! I then stacked up all my new purchases, with some of the old ones, in a nice neat (for now!) pile so that I can actually see (and get to) what I’ve got when I’m trying to choose fabric to use for a pattern. I think that Walthamstow Market will definitely become one of my favourite fabric shopping haunts, although I’ll have to restrain myself from visiting too frequently! I already have a couple of sewist friends who have said they want to come next time we go, so I think it might be a bigger trip next time! My main piece of advice though is take a shopping trolley!